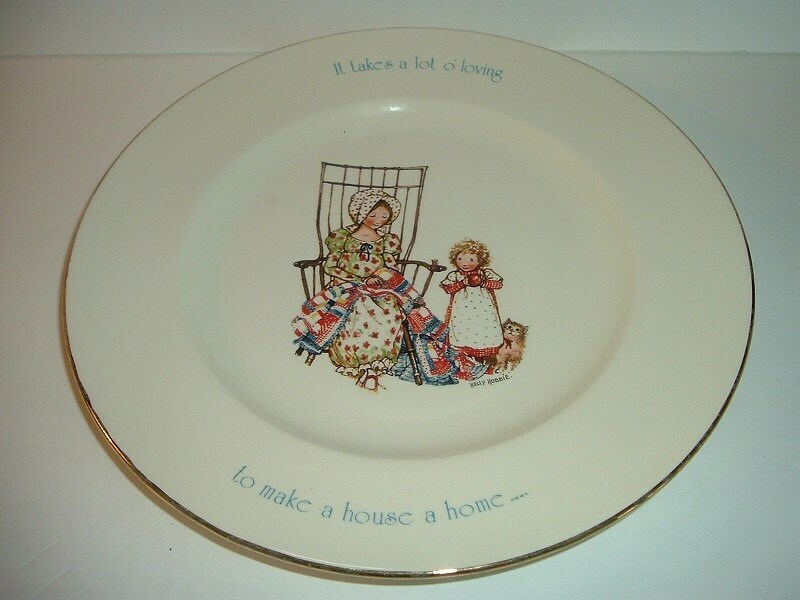 This 1974 Holly Hobbie "It Takes a Lot O'loving to Make a House a Home" plate measures approx. 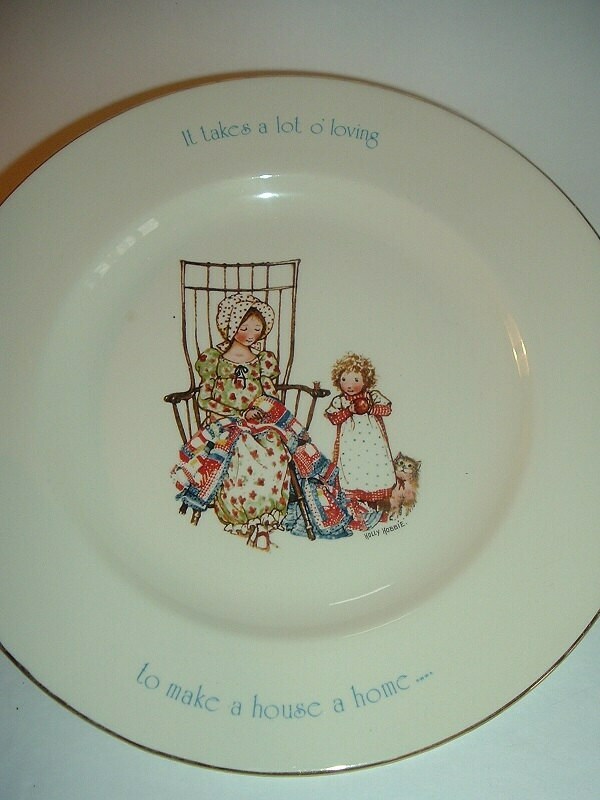 10 1/8" aross. 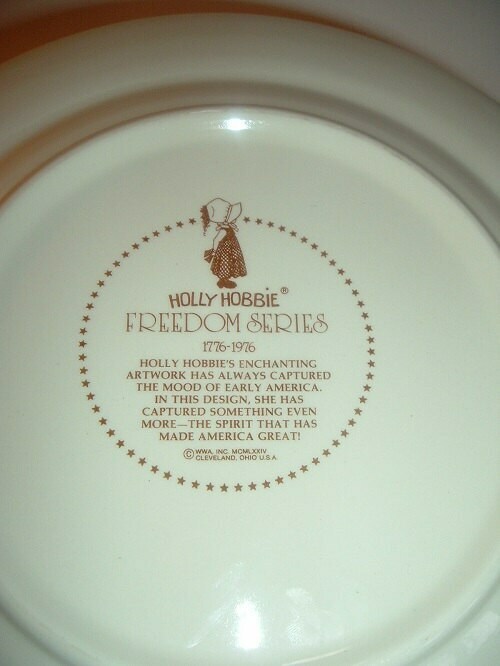 It is part of the Star Spangled series, and is in excellent condition. I gladly combine shipping.